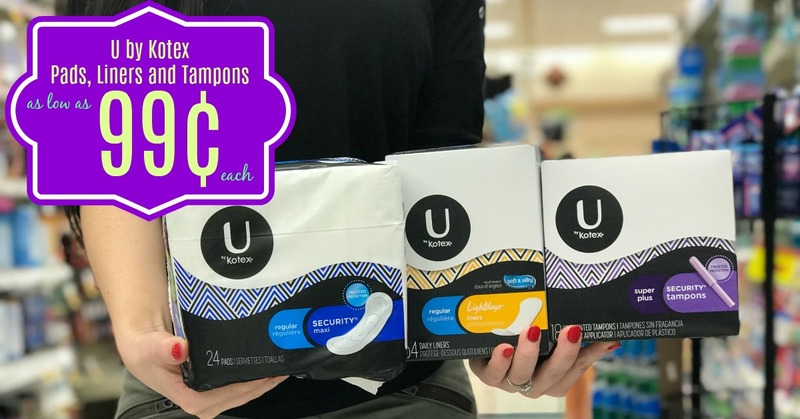 U by Kotex Pads, Liners and Tampons as low as $0.99 with Kroger Mega Event! Stock Up Time!! 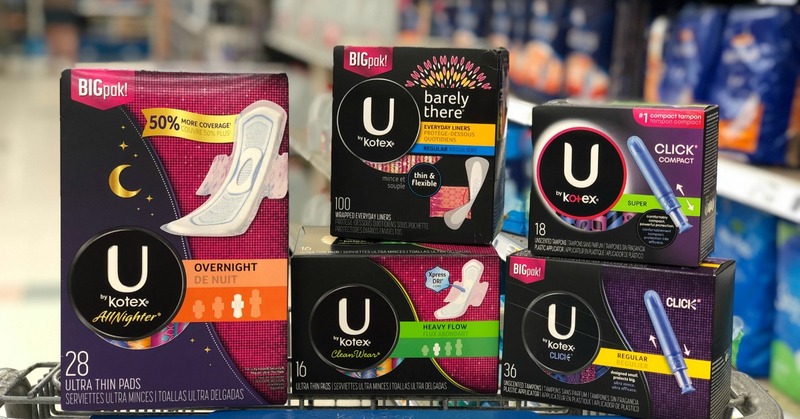 Once again, we're going to be able to stock up on U by Kotex products at Kroger! U by Kotex Security pads, liners and tampons are priced at $2.49 with the Buy 6, Save $3 Kroger Mega Event for the next 2 weeks. In today's 4/14 Smart Source insert we have awesome $3.00/2 coupons for U by Kotex Pads, Liners and Tampons. That means we will be paying as low as $0.99 per box or bag. There are quite a few different varieties included in the sale so be sure to scroll to find your favorite! If you'd like to choose from the more premium varieties, you'll pay as low as $1.99. Regardless of what you choose, you're going to grab a stellar deal. Are you ready? Full details below! Final cost is as low as $0.99 each! Post sponsored by Kimberly Clark. All opinions are 100% my own. If anyone is buying these kotex products and wants to make a few extra dollars, consider downloading the "fetch rewards" app. Sign up and enter the code TM5PW when you scan your first receipt you will receive a $3 sign up bonus. (From now through tuesday 4/16) I love this app, it is similar to Ibotta except you can scan receipts from any store for 100s of brands. Fetch rewards has now increased the sign up bonus to $4! This rare! Be sure and sign up and scan a receipt by tomorrow to get your bonus. After 4/16 the bonus will be $2.